A Lamborghini Miura SV, Porsche 904 GTS and 356 Carrera 2 GS Cabriolet are the latest top cars announced for the Bonhams Scottsdale 2019 classic car auction. Bonhams announced three further top cars for the Scottsdale 2019 sale. 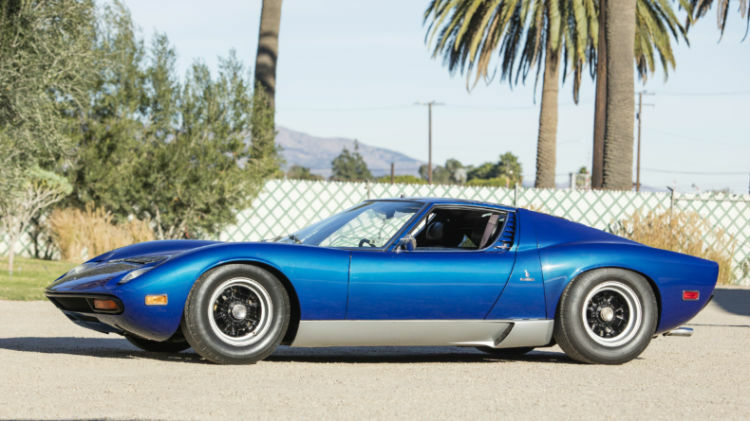 The rare, low-mileage 1971 Lamborghini Miura SV is one of only 13 produced in this specification for the US market. The 1964 Porsche 904 GTS was raced in period in the USA and belonged for a decade to Robert Redford. 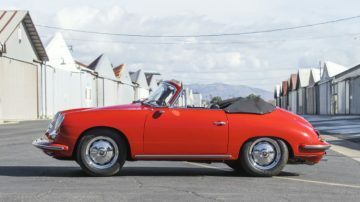 The 1963 Porsche 356 Carrera 2 GS Cabriolet is one of only 32 produced of what was the top-of-the-line model offered by Porsche at the time. 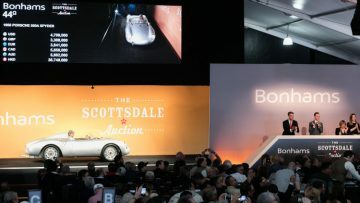 Bonhams scheduled its eighth annual Scottsdale, Arizona, sale on 17 January 2019 at the Westin Kierland Resort. In 2019, Bonhams earned $16.1 million at Scottsdale from selling 107 of 120 lots on offer for a high 90% sell-through rate. Hagerty calculated an average sale price of $144,762. 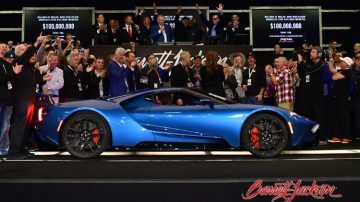 In 2018, Bonhams earned $25.2 million at Scottsdale with 94 of 108 lots offered sold – a sell-through rate of 87% and an average price of $267,649 per car. In 2017, Bonhams earned $36 million from just over 100 cars with sell-through rate of 82%. The top result at Bonhams Scottsdale 2018 was a new model-record $5,170,000 paid for a 1958 Porsche 550A Spyder that finished Le Mans fifth overall. Bonhams announced three further top cars for the Scottsdale 2019 classic car auction. This include a low mileage, highly original Lamborghini Miura, a 1964 Porsche 904 GTS that belonged to Robert Redford, and a rare 1963 Porsche 365 Carrera 2 GS Cabriolet. 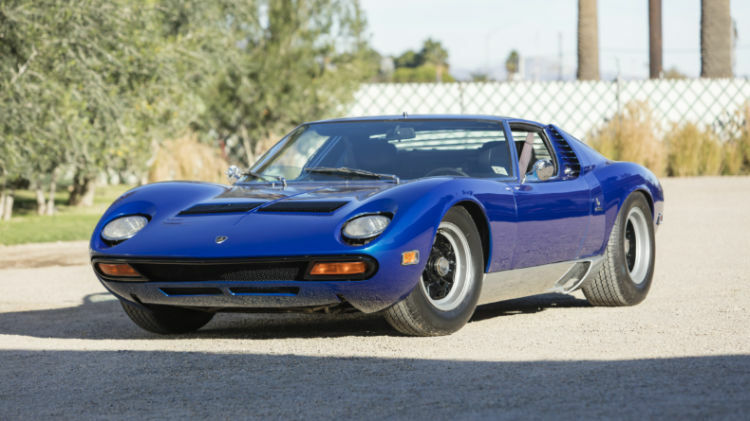 The 1971 Lamborghini Miura SV on offer at Scottsdale is a late production model. Being the last-of-the-line, the SV is the most highly developed and most highly improved model of the elite Miuras. This example has been in the same ownership since nearly new – more than 45 years, and has less than 18,300 original miles! As one of just 13 factory built split-sump, US-spec cars, this rare, exceedingly original Miura SV is surely one of the finest in the world. One of the most exciting and sleek – not to mention highly successful racing – Porsches ever created was the legendary 904, also known as the Carrera GTS. 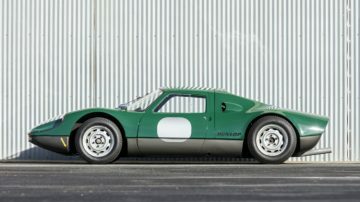 The 1964 Porsche 904 GTS at Bonhams Scottsdale 2019 was formerly owned by Robert Redford, award-winning actor and director, and Steve Earl, celebrated founder of the Monterey Historic Races. A rare and extremely desirable model, Porsche’s 904 is legendary for having achieved overall wins, podium placements and/or class wins at all the great circuits of the day – Targa Florio, Nürburgring, Spa, Le Mans, Monte Carlo, Sebring and more. 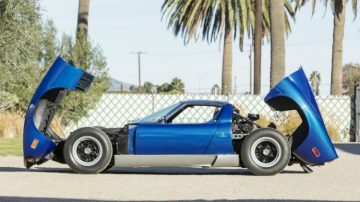 This particular car not only has an illustrious ownership history but was raced in period by team Otto Zipper and retains its original bodywork, chassis, transaxle and suspension, making for a 904 of enormously strong distinction. For video, click here. 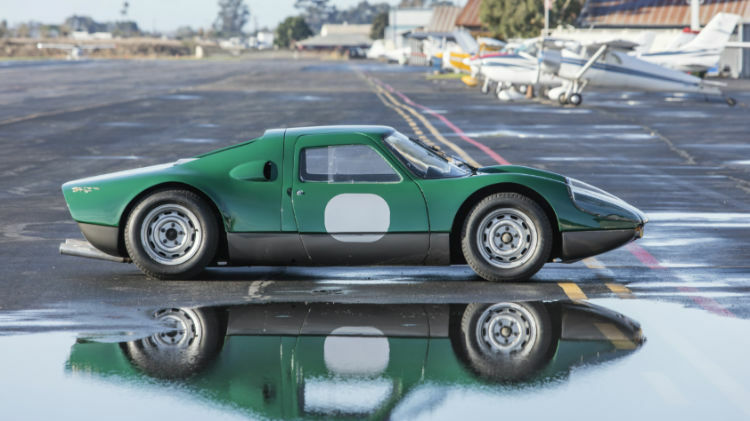 At least six Porsche 904 cars were sold at public auction since 2014 with prices ranging from $1.5 to $2.3 million. These cars join the previously announced Team Cunningham 1959 Lister-Jaguar Sports Racer and a 1952 Maserati A6G 2000 Spider.